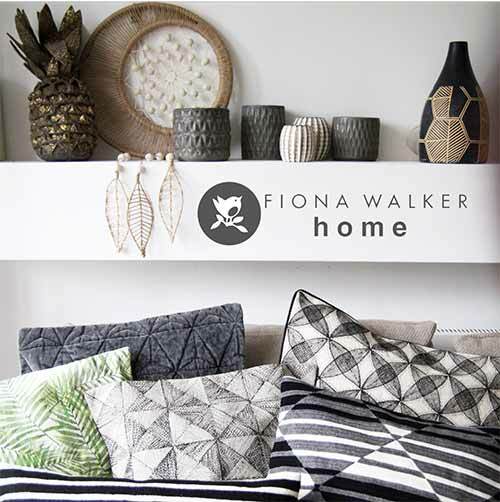 Visitors to Pulse London, 14-16 May, given the first preview of the NEW Fiona Walker HOME collection. A new range of interior accessories from Fiona Walker England that offers a huge collection of textiles, glassware, ceramics and more, for all your home styling needs. 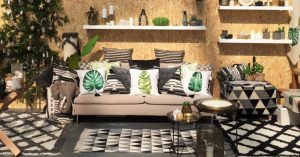 HOME brings you interior accessories comprising of table cloths, table runners, placemats, napkins, rugs, cushions, vases, votive holders, ceramics and even a sumptuous range of scented candles that represent every season. The HOME collection offers beautiful products that will compliment any home with themes including: ‘Marine Beach Hut’ – a blend of fresh, strong, deep blues paired with light and airy creams and a touch of copper to give you the feeling of being by the sea in style. 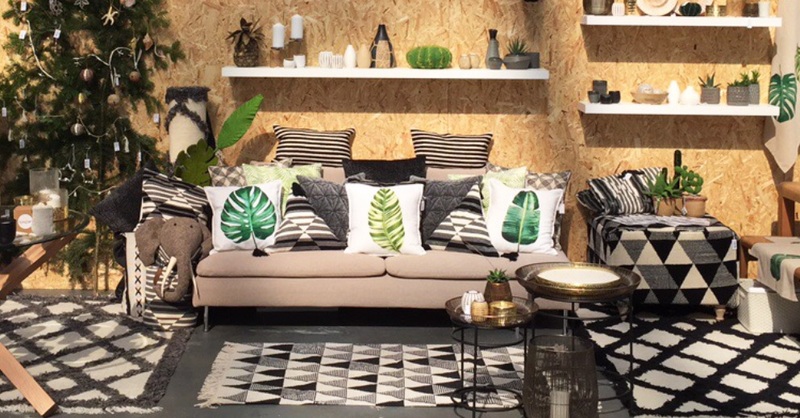 And ‘Mono Tropical’ – with blacks and cream tones, highlighted by fresh tropical greenery and gold highlights that will make any space look sophisticated but vibrant at the same time.